The Lost World. It was surely one. Maybe I have not seen enough of the world but this was definitely the most amazing adventures I have ever been on. I believe I have told the story of this trip countless times since I have been on it. Apparently Tom Cruise did the Waitomo Caves with different groups of family and friends countless of times when he was filming The Last Samurai. There are few different choices of adventures that runs at different locations. 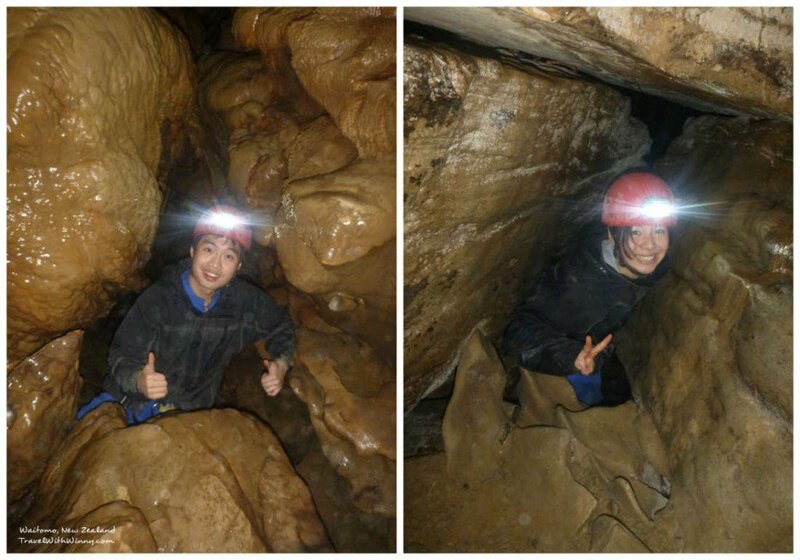 Winny has been on one of these before and we decided to go on another popular course at the Waitomo Caves. 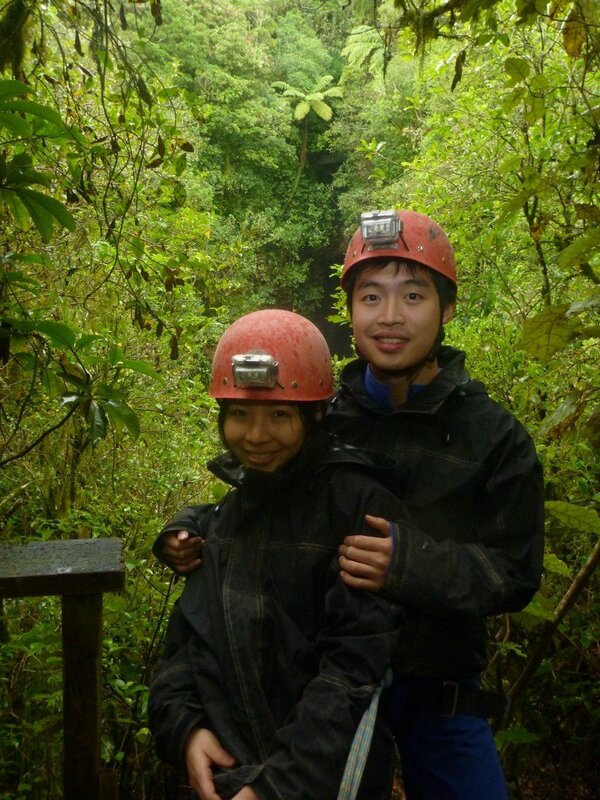 The choices for this company can be seen on Waitomo Adventures. Abseil (rappel) 100m slowly into the Lost World, secured by your guide who abseils along your side. 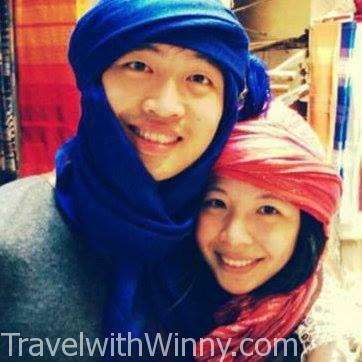 Each adventure they have a maximum of Eight people and a maximum of four people per guide. This is due to the extreme measures they go into for safety. We were in the afternoon session so we were made to wait for roughly half an hour before our tour guide came back from the previous tour in the morning. We were geared up and ready to go and left as soon as our guide came back. They must all be extremely fit with a full day of caving! This is where we enter the cave 100m into underground! We were extremely lucky because we were the only ones on this tour. So it was only us, the tour guide. Basically a private tour! We were driven to a remote farm cabin where our belonging s were stored away and we were geared up. After having a good long conversation with our guide, we learnt that the Waitomo caves were all privately owned by farmers. Farmers back then were having troubles with these caves because they would lose live stocks to them. Poor animals falling to their deaths. They had to then build solid fences around these massive cave opening. Now they realised that these caves have a massive tourism potential, they rent them out to companies like this one. New Zealand is nature’s adventure ground. After gearing up we were taken on a mock track to teach us the safety features. There is basically a safety rope that goes through all the dangerous part of the cave which was more than half of the adventure. The rope is attached to the wall so we need to learn how to safely attach and reattach to each part of the rope. After that, the fun begins. The beginning of our descent. 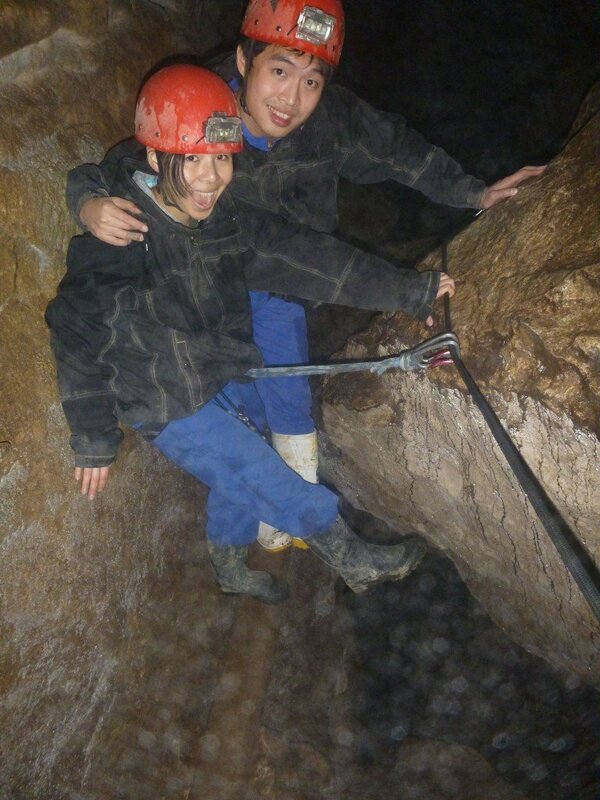 We took a short hike to the mouth of the cave to the longest abseil you could do open to public in the world. The opening to the lost world is massive and the drop to the bottom of the cave is more than ONE HUNDRED meters. 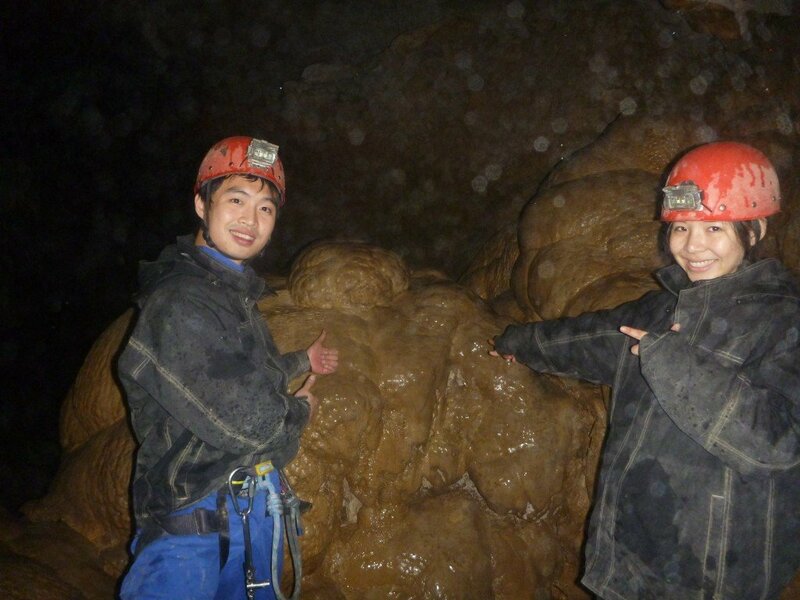 It is the deepest cave in Waitomo. The cave was carved out over millions of years by a river down the bottom. After he hooked us up we were dangling and staring down at the one hundred meters drop. I’m usually a little nervous with heights but there was nothing but excitement when I was up there. After 30 minutes of descend, that’s all the sunlight we get to see. 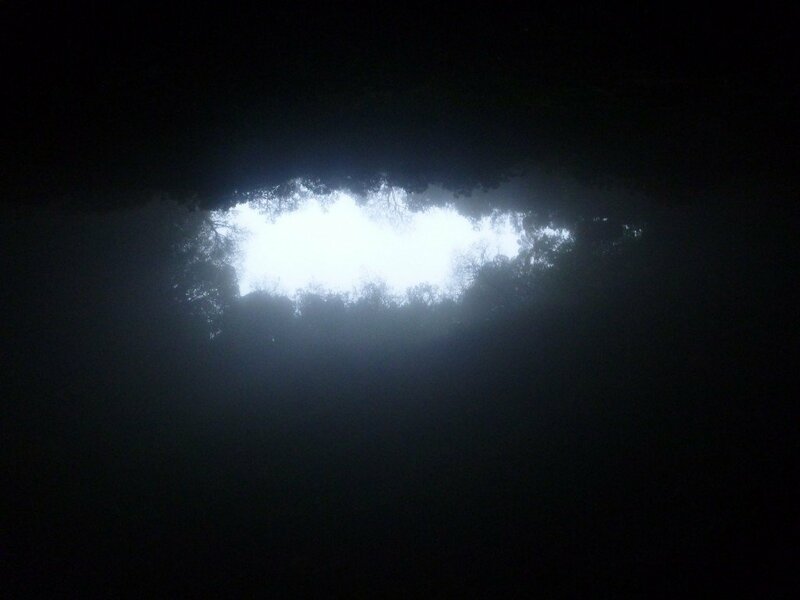 There is a dense thick fog at the bottom of the cave. We learnt that this is due to the temperature at the bottom is always colder and the fog is almost always present. Surrounding all around the cave contains a phenomenal natures creation. Stalactites were growing at a 45 degree angles. Apparently the moss grows on top of the stalactites as they are attracted to sunlight and guide the water to drip on an angle, resulting the stalactites to grow in this way. These angled stalactites could only be seen in big caves like these. Had to really hold on tight to the rope at some places. As we descend on through the thick fog we get to see one of the greatest views in this world. The scenery was overwhelming. No pictures taken in here would ever justify what we saw that day. The guide took multiple pictures of us dangling from great heights. It was amazing. Closer to the bottom we were approaching a whole landscape of ferns extinct to the rest of the world other than in New Zealand. It looks complete alien to my eyes. I felt like I was needing to preparing myself to fend off dinosaurs. 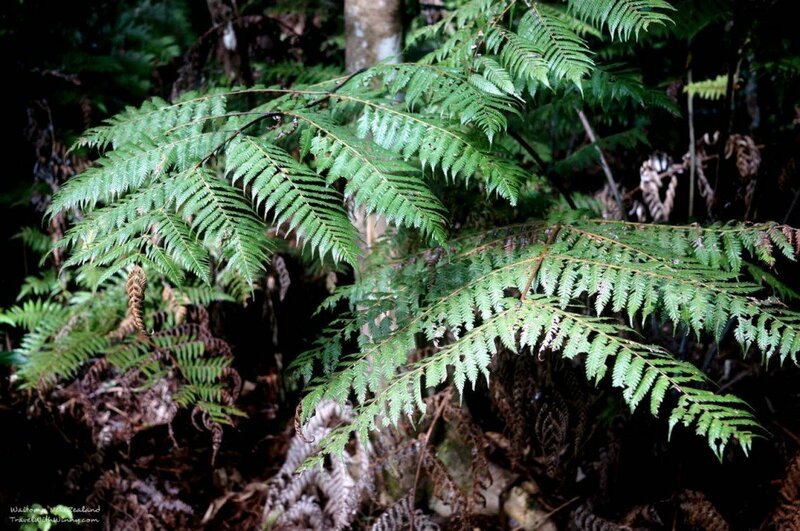 New Zealand’s native ferns in daylight. We tracked for quite some time walking past this huge cavity of area which they called the lost world and taking ample amount of pictures by the tour guide which acted as our private photographer. We weren’t able to take our cameras down there because it was too dangerous and we were sure to damage them. The guide had a good water proof camera. It wasn’t the best at taking in low light though. Best pictures were best kept in our memories anyway. In total darkness and fog. We followed the ground river which leads away from the lost world and towards a tunnel area filled with stalactites and stalagmites. 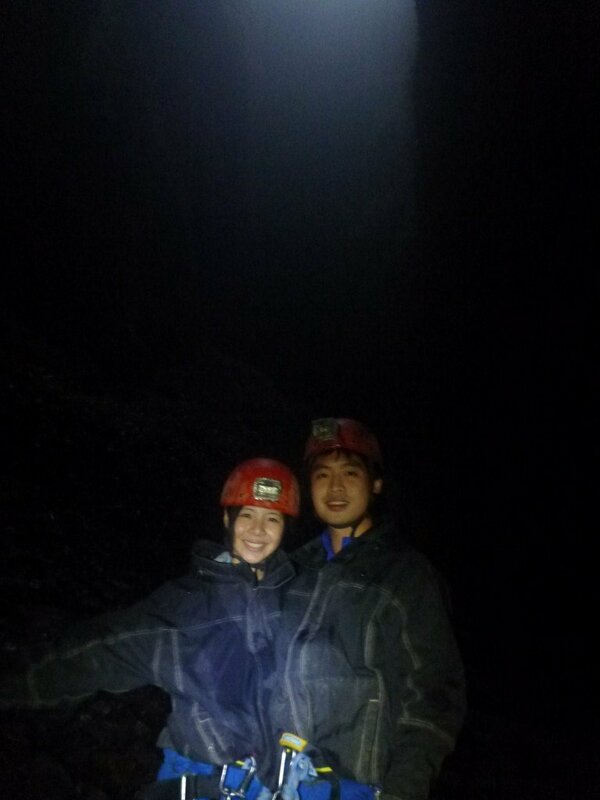 We had to turn on our head torch then because it was pitch black darkness through there. I remember touching the stalagmites as we would damage them but there are no ways we could avoid that because we were crawling over and under them all the time. 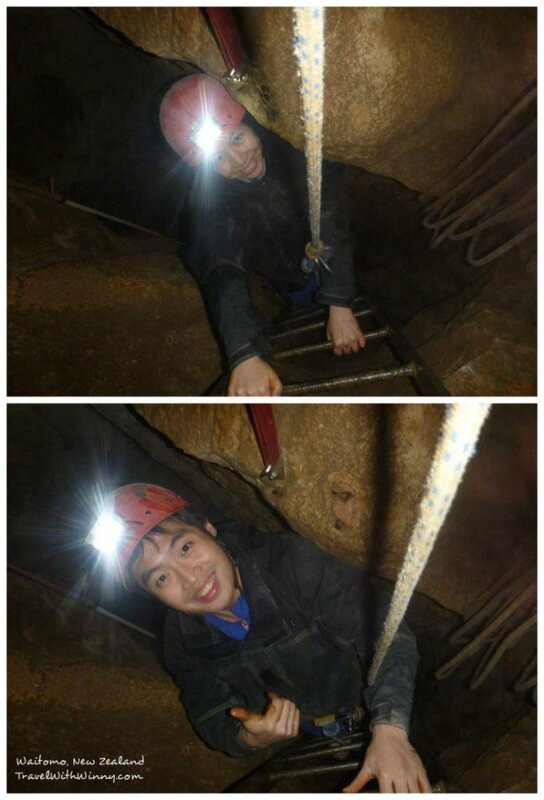 Climbing over and under all the stalagmites! It was tones of fun. Winny even was complaining that I was so engrossed with fun that I forgot about her temporary when she was lagging behind. Sorry!! We were going on all different landscapes. some with the potential to collapse under our foot but we were not too concerned. We were bound to the ropes on the walls which could hold up to a few tones. The gigantic stalagmites that took thousand of years to grow! 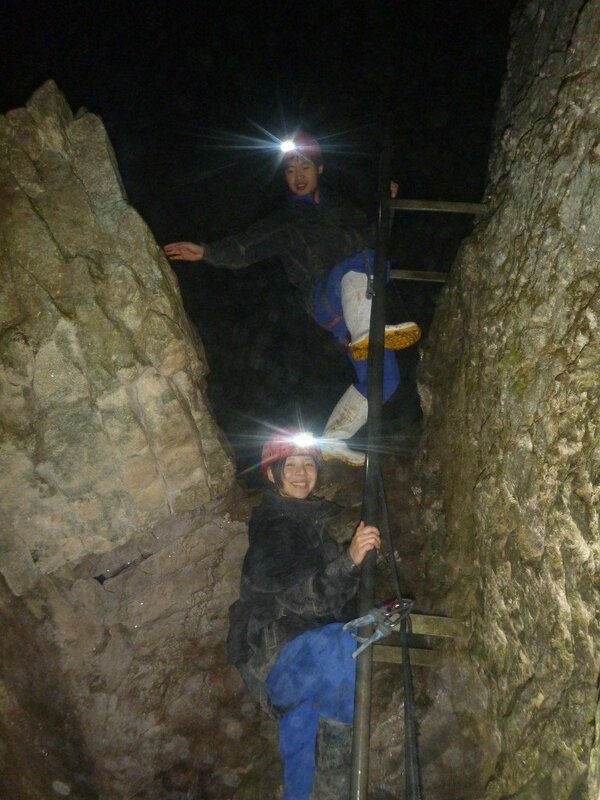 We eventually reached a point where we were told to turn off our head torch and sit on some matts the guide brought. He prepared some hot chocolate and biscuits and we sat there watching… A whole cave ceiling of glow worms. A little lame to describe it this way but it was like the galaxy in the sky! it was a peaceful moment listening the water run past, hot drink in our hands and watching this beautiful scenery. Some holes were quite deep. Can definitely break a leg! We were then on our way again. This time, back up. We climbed this massive massive steel ladder that was endless. I was so proud of Winny who was capable of climbing the whole length. My hands were freezing and legs were tired by the end of the climb. We took a few more photos on our way out of the cave and eventually saw the end of our amazing adventure. The opening to the world again. It was hard to believe that four hours has past this quickly! Definitely a bit physically demanding! We took a little hike back up to the hut where we changed off our gears and we were driven back to the main cottage. We had a trip of our life time. 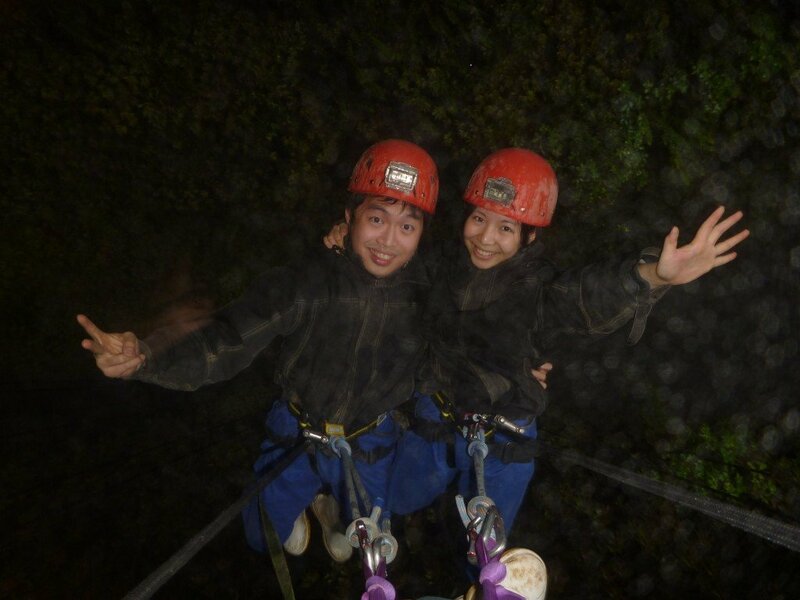 I advise any of you who hasn’t done such an adventure to do it if visiting Waitomo Caves. It wasn’t a cheap adventure but it is worth every single bit of your money! The ladder was at least 50 meters for us to climb back up to civilization! 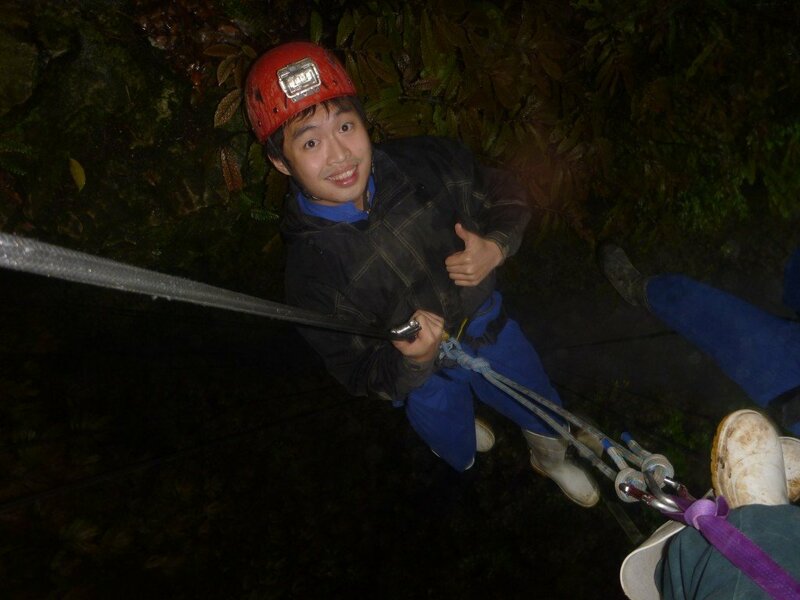 Winny also did another one of the Waitomo Adventures activity called “Tumu Tumu Toobing” at one of the Waitomo Caves. It is black water rafting where you sit on a big rubber tire and float through underwater caves with glow worms directly above you. 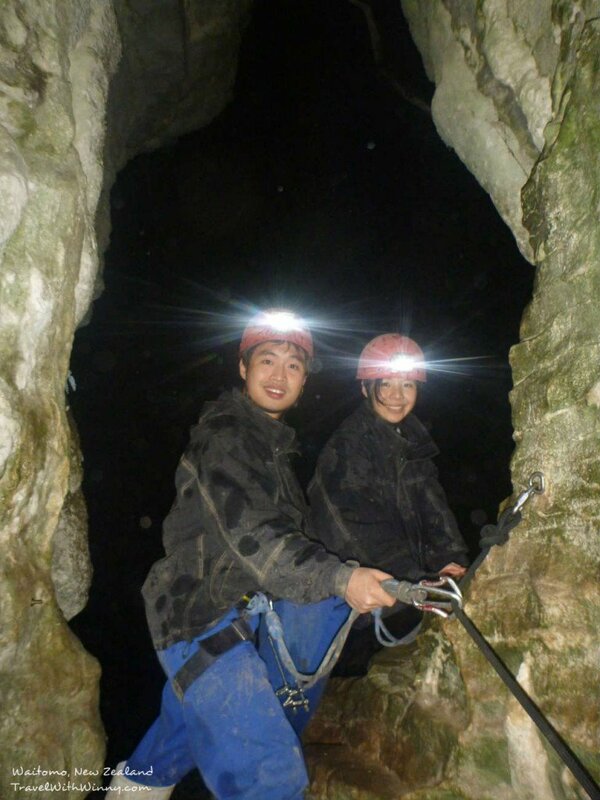 That one is perfect for someone who loves swimming underground (Read more: Waitomo Cave Adventures: Tumu Tumu Toobing). 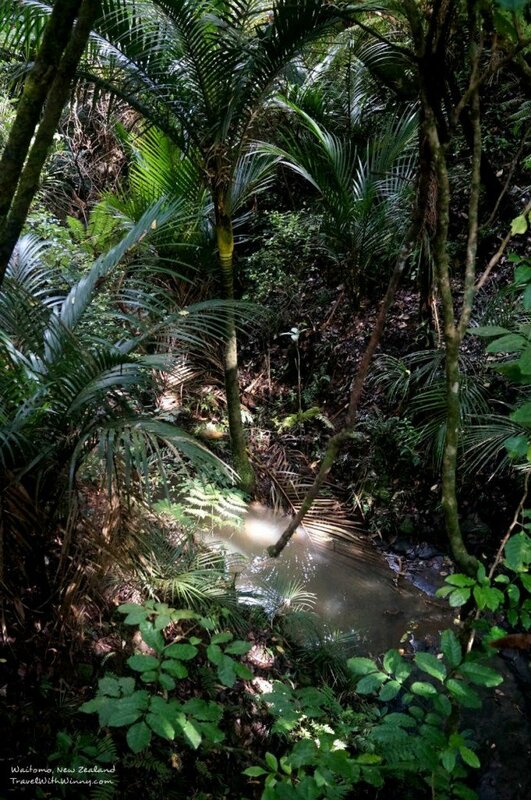 Unfortunately it was winter when we went to Waitomo hence we did “The Lost World” which was more dry.